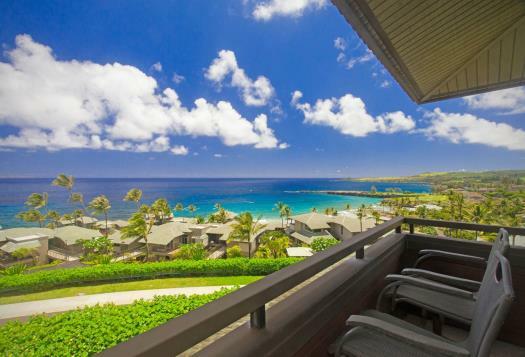 Remodeled 1 bedroom, 2 bath ocean view villa at The Ridge, Kapalua Maui. *Please note that the Ridge Maintenance Department will begin painting Building #20 from February 19th to a projected date of May 17, 2019. Please be aware that there could be noise during this time. Maintenance is only allowed to work Monday through Friday, from 9am to 4pm- weekends excluded. This stunning custom remodeled villa offers the finest in island style luxury living. 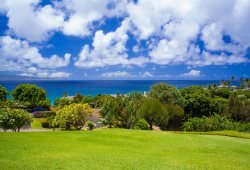 Located at the Kapalua® Resort on the west side of Maui, this ocean view 1 bedroom, 2 bath Ridge villa, offers complete privacy, and with accommodations that are first class. From the moment you enter the villa, you will be taken aback by the design, the ambience, and the vistas. This “Better-Than-Gold” villa is the perfect place to call your home while visiting Maui. No expense was spared when it came to redesigning the elegant interiors. 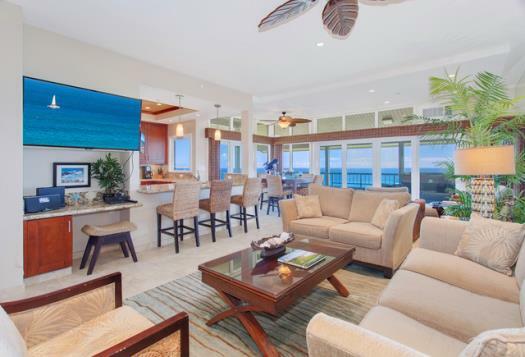 Upon entering this second story level floor plan villa you are treated to optimum ocean and coastal views that will surly take your breath away. This is what vacation dreams are made of! The spacious floor plan and the warm color tones create an atmosphere that is both inviting and relaxing. The living room features vaulted ceilings, ceiling speakers, a large sofa, two chairs, a coffee table, end tables, unique art work, a flat screen TV, AC, and, spectacular views that serve as the showpiece to this fabulous villa. 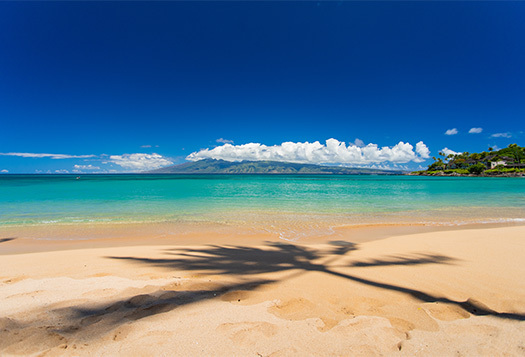 Looking out you will see the Kapalua® coastline, world famous Honolua Bay, the island of Molokai’ and The Bay Course. Seat where you will in this room, the stunning views will follow. 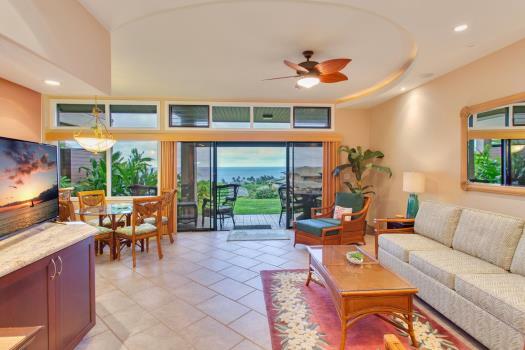 Adjacent to the living room you will find a large, tiled lanai. 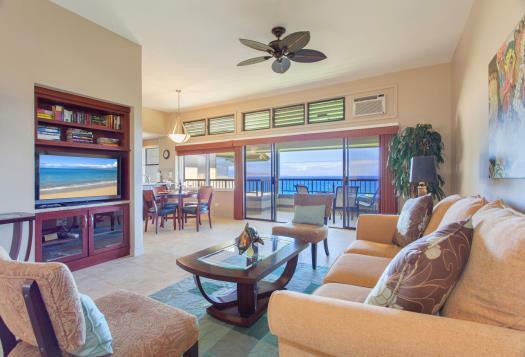 This lanai showcases Kapalua’s® dramatic views while also offering guests the perfect spot to take in the trade winds, along with all of Maui’s loveliness. 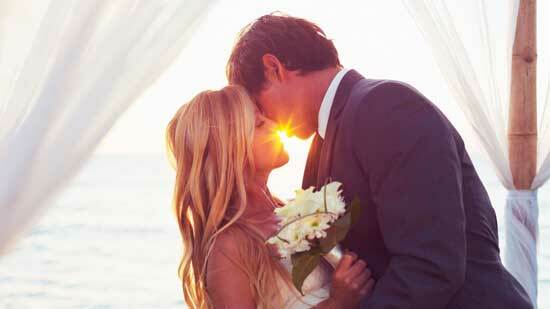 Enjoy an evening Mai Tai, or a romantic dinner outside on your private lanai. With a table that seats four, there is more than enough room for everyone in your party to enjoy this intimate space. During whale season the ocean comes alive with our island’s most famous visitors, the Humpback whales. You will not believe the spectacle as the whales rocket out of the water and then land with an enormous splash! There is nothing more thrilling than watching these magnificent creatures at play, and one of the best seats on the island to take it all in, is your very own lanai. Sit back, relax and enjoy the show. The dining room is just off the living room. You will find a dining table that is large enough to comfortably seat four. Views from your dining table are enough to distract you from even the finest meal. The kitchen is located just behind the dining area; you will find it to be a chef’s dream! Vaulted ceilings, granite counter tops, custom lighting and tiled backsplash and gorgeous custom hardwood cabinets make this a kitchen where cooking is truly a delight. Even doing the dishes is a treat with fabulous views of Molokai' visible from the kitchen sink. The kitchen is complete with a stove, oven, microwave, dishwasher and freezer/fridge. We know how important it is to have everything you need to prepare your meal when you are on vacation. It is so frustrating to begin meal preparation just to find that you are missing one implement or another. That will not be a problem at this villa. We have seen to it that the kitchen is fully stocked. If in the rare case you may need additional items, just call. We will be happy to oblige. The first of your two remodeled bathrooms is found just off the living room. This bathroom features a shower, vanity with granite countertops, custom hardwood cabinets, tiled flooring, closet and a full washer and dryer. The large master bedroom has a king size bed, large closet, small lanai, fan, AC, flat screen TV and dresser drawers for lots of extra storage space. This cozy bedroom offers all the comforts one needs to relax after a fun-filled day exploring the island. The master bathroom is connected to the master bedroom and provides guests with a tranquil space that rivals even the finest of spas. With granite counter tops and twin vanities with sinks; with tile flooring, custom hardwood cabinets and a walk-in shower, this bathroom has everything you need to relax and melt into your dream vacation! This villa comes with reserved covered parking, free wireless password protected high speed internet, digital cable, discounted golf, a starter supply of paper towels, soap/shampoos, laundry detergent and bath/beach towels, beach chairs and cooler. Everything went so smoothly. The place was very clean and we had everything we needed. The location of this unit was perfect and had amazing views. It was a pleasure working with all of the members of your team. Top notch and very professional! We enjoyed our stay, our view, and our beautiful condo in Kapalua! We will be back! Our Unit was great - nice updates Most importantly, great view! The ocean view was great. Check-in and out was so easy. Really appreciated the attention to detail on property maintenance, the cleanliness of the unit, and communication was very good. The property was beautiful, the view was fantastic, the area was nice and quiet. We had a great time! The photos make it look wonderful but its even better in person. We lacked for nothing and the view is amazing. Great property with great amenities. We had a wonderful time. The property is very nice, the location amazing and your company was extremely easy to work with. Love the new website. Diane and Terry are great as well as Terry's son. We have stayed at the Ridge for maybe 15 years? Well maintain condos and reasonably priced. 2021 by far is the best for us. Single story and remodeled. Great view. Our villa was beautiful and clean We were able to navigate very well to anywhere we wanted from our villa. Attention to detail was apparent as soon as we arrived. Beautiful remodeled unit. Unit had the best front ocean view. Bathroom was done very well and beautiful.